StormerClan, Home to our long established friendly SC PC FPS gaming community. DayZ, BF4, L4D, battlefield games and more! Hi, from all at StormerClan. We are a friendly community of PC gamers who play for fun, ..not to be the best! We have our own Dedicated server and host the best new games including: BF4 (all add-ons), BF3 (all add-ons), DayZ, Bad Company 2, CoD series, Left4Dead 2 & more..
We welcome you to join us on our servers, whether you are a member or not. We regularly accept new members, if you are interested click here. The biggest benefit we offer! Fun, lots of it! If you are in to gaming and don't take things too serious, we have all you would need; mayhem, madness and downright crazy nights in our ventrilo voip and our ranked dedicated servers! Join us! We host and play these games & more! For other games played at StormerClan please view our forums. StormerClan members took part in i49 this year, click the button above to see. Keep an eye on the forum for more lan! BF4, DayZ, BF3, WoT & more..
StormerClan is non-profit and ran by volunteers, please help support us. Simply recommend us, or donate! Welcome to the StormerClan homepage! We are a friendly clan / community of adult gamers who play for fun on many PC based FPS games including BattleField 3 & 4, DayZ, Bad Company 2, Left 4 Dead, World of Tanks and more. We have our own powerful dedicated server on a major backbone serving up many ranked games for our members and general public to frag with us on. We welcome members new and old and visitors to come chat with us in the forums and make use of info we have there. You can find the latest SC (StormerClan) news within our twitter feed below, so you can easily tap in to it on mobiles devices also. There are also many tweets of the latest breaking gaming news posted here too. Read below for whats hot in the StormerClan forums! today they added persistence to private hive and now the truck has a inventory, so no more carrying a 20 ish slot jerry can. gonna see if this makes the game better. I know gapp i forgot to mention they were disappointing .Gapp i hope i will be impressed . I also have skype that i can use on my ipad. lol, could be the same person m8. Have you ever seen them in the same place at the same time? I would be happy for you to come along again as a Lite member buddy. When you have a mic join us in Teamspeak. I'm sure manic is up for playing CSSGO, not sure about some of us older ones although, as much as we used to love CS ...we are too slow!! © 2015 StormerClan.com. The content on this website is the property of StormerClan unless otherwise stated. 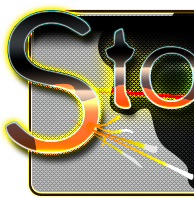 StormerClan is a communtiy clan of friendly gamers who concentrate mainly on PC based online FPS shooter games, such as DICE Battlefield series games, Bad Company 2, BF2, BF3 & BF4. Source engine games (Left4dead 1 & 2, CS:S etc) and Call of Duty series. We are not part of any other community, including those with similar names. Web design by: OneSmartDesign.co.uk some code snippets courtesy of Parachute Game for Android™ devices.